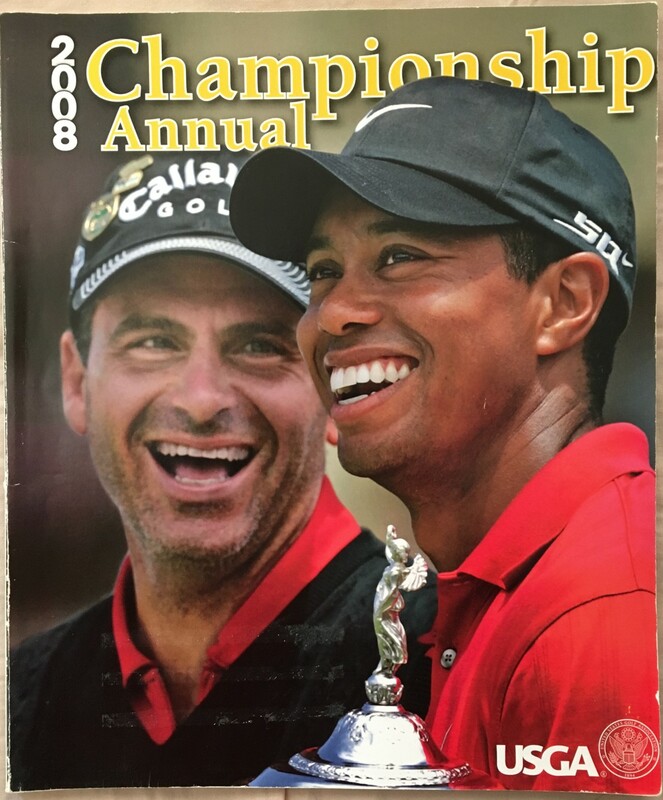 2008 USGA Championship Annual magazine featuring 2008 U.S. Open winner Tiger Woods and runner-up Rocco Mediate. Back cover has been removed, magazine otherwise is in good condition with minor flaws and wear. ONLY ONE AVAILABLE FOR SALE.